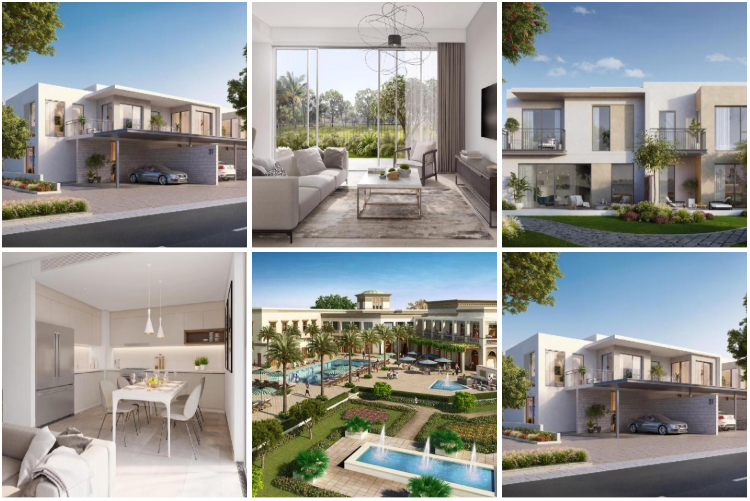 We are delighted to present Camelia, a beautiful development of townhouses by Emaar in Arabian Ranches 2. This is the last cluster to be launched within the community. Arabian Ranches is known primarily for its classical Mediterranean and Arabesque-themed villas. 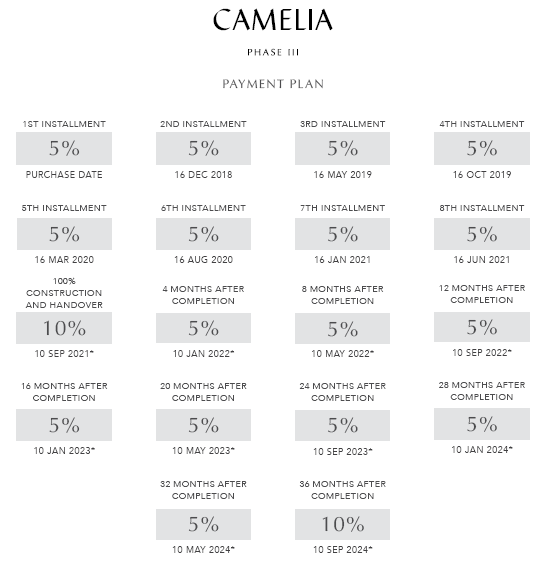 Camelia introduces a new aesthetic with a selection of three and four-bedroom contemporary townhouses. Each home has a straightforward and clean-cut design, featuring neutral tones with a touch of warmth. Floor-to-ceiling windows frame each room, connecting the homes to their beautiful green surroundings and filling the interior spaces with light. The living areas are open plan and the upstairs bedrooms all feature balconies from which you can look out over the gorgeous vistas of the community and the city. Each home also features a backyard garden and rich landscaping. Lovers of the outdoors will enjoy the abundance of parks, cycling trails and open green space. For shopping, dining and other lifestyle needs, residents can head to the Ranches Souk. Another key facility is the Ranches Primary School, perfect for younger families to establish themselves in the Arabian Ranches community. 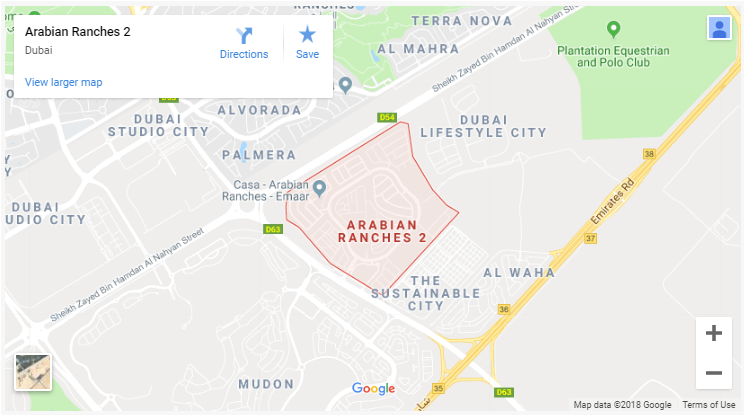 Close at hand are the Arabian Ranches Golf Club, Dubai Polo & Equestrian Club, Jumeirah English Speaking School and a dedicated healthcare clinic. Located close to two major roads in Dubai, Camelia provides access to nearby districts such as Downtown Dubai and Dubai Marina. 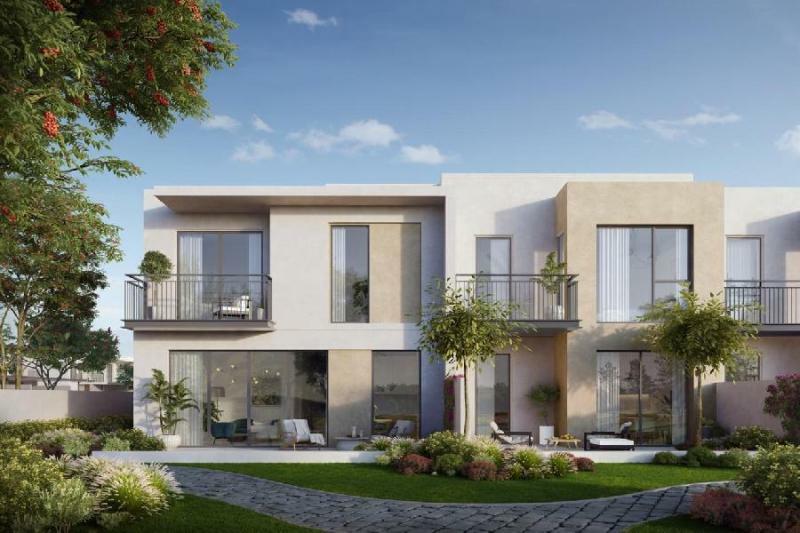 Camelia will add a beautiful contemporary charm to the Arabian Ranches community. It is expected to be ready by September 2021.